Clayton-Thomas' career is a remarkable musical journey, beginning as a bar room rocker who transforms himself into a highly successful performer and songwriter. With his 35 year stint as lead singer in Blood, Sweat and Tears behind him, David has now launched an 11-piece jazz/rock fusion band under his name. 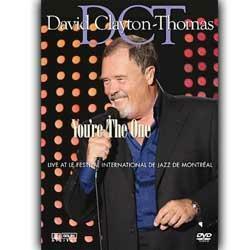 This concert, from Montreal's Le Festival International de Jazz de Montreal, features some of his top BS & T songs.